Eli Drake and Moose arrive at the arena. They'll face off in tonight's main event with both Feast Or Fired briefcases on the line! Lashley puts the boots to Cage in the corner, but Cage leapfrogs a spear and tosses Lashley with a big suplex for 2. Lashley kicks Cage in the ding ding behind the ref's back, then puts the boots to Cage and chokes him on the middle rope. Cage gets Lashley on his shoulders in an electric chair and dumps him on his face, then pops Lashley over with a German suplex for 1. Cage with charging clotheslines in the corner, and Lashley heads to the floor. Cage follows him out and slams Lashley on the ramp, then climbs to the second rope and SUPLEXES LASHLEY FROM THE APRON INTO THE RING. WOW! Cage goes to the top and Lashley superplexes him, but Cage is right back up, no-sells a German suplex, Lashley ducks the roaring lariat, and hits a spear. Lashley makes a cover for 2, so Lashley goes for the Dominator, Cage slips out and hits a leaping knee strike and then the Drill Claw for 3. You know, I don't think they're doing enough to give Cage a rub right out of the gate. :) Another big win for someone who is obviously going to be a very big deal here in the months to come. PlutoTV takes us back to Dale Torborg getting into a fight with the Diamonds In The Rough, then we go to the control center where Josh and Sonjay talk about stuff that's going to happen on tonight's show. Allie stomps Su out in the corner, runs her across the ring, but Su blocks a kick and...well, she kicks her in the region where the ding ding would normally be located. We're at commercial. We come back as Su hits a side suplex for 2, then drags Allie across the ring by the hair. Su hits a hanging Pedigree and grabs a kendo stick, but Allie knocks her over and hits a flatliner into the second turnbuckle before dropkicking Su's head into the corner. Allie suplexes Su into the corner, and Braxton comes out to ringside as Allie hits a Codebreaker for 2. Braxton grabs her ankle as Su grabs the stick. The ref tries to pull it away, but Su shoves him off and unloads on Allie to cause the DQ. Rosemary is backstage saying that next week, it's time for a family trip to Valhalla. They can't get Taya Valkyrie out of their head, so they want a demon's dance to settle this once and for all. McKenzie is backstage with Matt Sydal and Josh Mathews, and Sydal says Petey Williams brought his bad vibes out there to cost them a triple championship. Josh says the Grand Championship meant more than anything to him, but Aries comes along and takes it from him, and he hates Aries now. Sydal is going to handle Petey Wililams at Redemption, but Josh reminds us that he's a trained wrestler, and for one week only, he's going to take on Petey Williams next week, and will destroy the Canadian Destroyer. Sydal says namaste. KM is backstage yelling at Richard Justice that he has a match right now and rushes him out to the ring as we go to commercial. KM comes out to tell Richard Justice a couple of things. For one, he thinks Richard is a fat, disgusting embarrassment to professional wrestling. He's so fat that when he orders a bowl of cereal, it comes with a lifeguard. He's so fat, when he goes to the restaurant and the waiter hands him a menu, he says "Yes, please." Richard starts crying and KM makes fun of him. Justice says this is embarrassing and to please stop, and KM says he's sorry to say it to his face, but he can't say it behind his back because his car only has a half a tank of gas. Justice is so fat that when he went to buy a water bed, they put a sheet over the Pacific Ocean. He should wear a watch on both arms because he takes up two time zones. He suddenly punches Justice, and Fallah Bahh runs out to make the save. Trevor Lee and Caleb Konley run in to jump Bahh, and the three of them beat Team Fatty down until...HERE COMES TYRUS! He runs in and cleans all three men out of the ring. He grabs a mic and says he's back, and he doesn't like shaming and bullying because the bullies usually have more problems than the victims. He yells at a kid in the crowd and threatens to throw him out before running jokes on KM and the Cult of Lee. McKenzie is backstage with Eli Drake, who says Moose is a dummy for trying to take both cases instead of just giving his up to Eli. Tonight's the night it's gonna be all right because all Moose is getting for his troubles is a big ol' goose egg. He'll take the World Title, and if he has to, he'll win the tag title all by himself, and he'll be swimming in gold like Scrooge McDuck. Some chain wrestling to start us off, then they do a back and forth until Impact breakdances at Ishimori for 2. They do flippy dippy stuff until Ishimori hits a springboard vertical drop to take control. Ishimori sends Impact to the floor with a flying headscissors, then wipes him out with a springboard dive. Ishimori with shotgun knees in the corner, followed by a springboard double sotmp for 2. Ishimori tries a crossbody, but Impact catches and slams him, then hits a standing shooting star press for 2. Ishimori blocks a superplex and goes for a sunset bomb, Impact blocks, so Ishimori slips out and hits a super Frankensteiner for 2 instead. Ishimori with a victory roll for 2, then hits a superkick and goes for the 450 splash. Impact dodges and hits a Tidal Krush followed by a running knee and Starship Pain for the win. Good match, if a bit busy at the beginning. Kongo Kong comes out with Jimmy Jacobs, and Impact tries to attack him, but Kong sweeps his legs out from under him and beats him up on the floor. 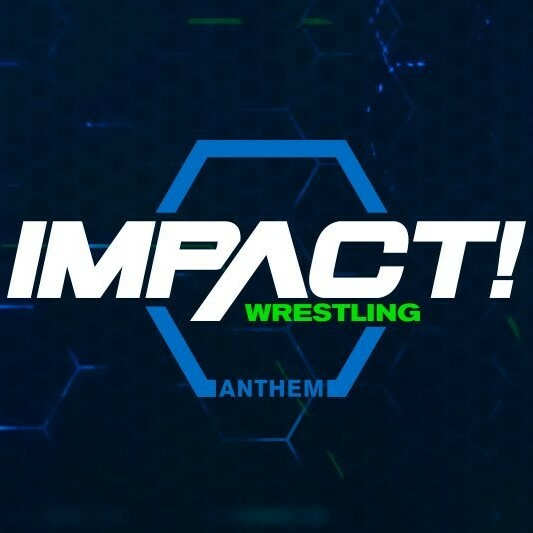 Kong tosses him into the ring for more punishment, but Impact knocks him off the apron and wipes him out with a dive as Jacobs herds Kong to the back. We see a video package of both men discussing their road to the Redemption PPV, the recent lows in each of their lives and how they came back from them, what their upcoming match means to them personally, and how they perceive each other's strengths and weaknesses. McKenzie is with Moose, who is confident since he's never lost to Eli Drake, and he'll take both briefcases tonight. 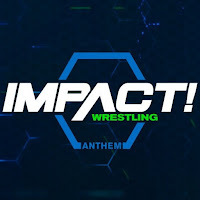 The Global Wrestling Network takes us back to Black Machismo Jay Lethal having his landmrk victory over Kurt Angle about a decade ago, then we get a hype package for Wrestlecon where Impact Wrestling goes against Lucha Underground on Twitch tomorrow night. Off to the LAX clubhouse, where they're doing the usual as Konnan asks them why they're all so happy. Konnan says Homicide is handling business in Miami, they're getting cheddar everywhere they go, and it doesn't matter whether Eli Drake or Moose gets that title because everyone who goes against them gets destroyed, including Decay, the military jabronis, then the ovaries are now licking their wounds in a meth lab, and the country crackers got taken too. They're going to beat whoever they face and then go to the club to (do something that gets bleeped out). What an inspirational segment. Drake tries to match power with some shoulderblocks, but that doesn't work so great. He tries going to the second rope instead, but Moose dropkicks him to the floor and goes after him to beat him up some more. Moose dumps Eli face first on the apron, and the beating continues until Drake rams Moose into the post, and we celebrate by going to commercial. We're back as Drake hits a guillotine legdrop on Moose, and then unloads on him in the ring. Moose finally has enough, no-sells Drake's shots, and throws him into the corner. He tries a charge, but Drake dodges and Moose hits hard. Drake drops an elbow for 2, and a second rope elbowsmash gets another 2. Drake with a neckbreaker for 2 as Josh runs down next week's card. Moose suddenly connects with a headbutt that rocks Eli, and he quickly capitalizes with a buckle bomb and hesitation dropkick in the corner. Dake ducks the Gamechanger, and Moose wipes out the ref by accident. oVe suddenly runs in and attacks Moose, complete with Sami taking Moose's knee out with the bat. The Crists hold Moose for a bat shot, but Eddie Edwards runs in and takes Sami out, then Moose takes out the Crists, but Drake connects with a couple of bat shots and covers for...2! Drake can't believe it, but he quickly hits the Gravy Train and covers for the win. Drake now has free shots at both the World and Tag Team Titles whenever he wants. The ball is in his court!